Karadayan Nonbu or Karadaiyan Nonbu is a major Tamil festival celebrated ending of the Tamil month of Maasi (Malayalam month Kumbham) and beginning of Panguni (Meenam in Malayalam). Savitri Viradham (Vrat), Karadayan Nonbu ritual is observed by all married women for the well being of their husband and that the couples should remain together always. Unmarried women also observe Karadaiyan Nonbu and pray to Goddess Shakti or goddess Gowri (Parvathi) to get good men as their husband. 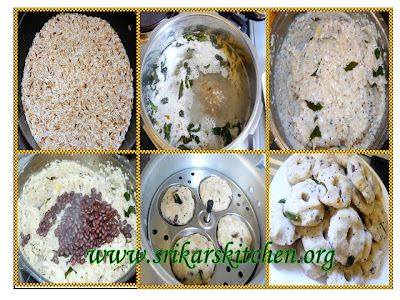 On the day of Karadaiyan Nonbu, women prepare a sweet Adai & Kara Adai known as Karadiyan Adai. Karadiyan Nonbu Adai is specially prepared for the Karadayan pooja with rice flour, jaggery and a red coloured dry beans known as Kaaramani. i gave the recipe as follows. 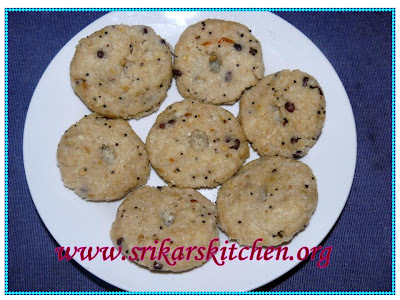 After making the spl Adai preparation it is time to start the Karadaiyan puja. All female members in the family will get ready to start the puja. All ladies assemble the pooja place, Kolams (rangoli) will be drawn by all and a banana leaf will be placed on each kolam. Orukkalum en kanavar ennai vittu pririyadhirukka vendum." 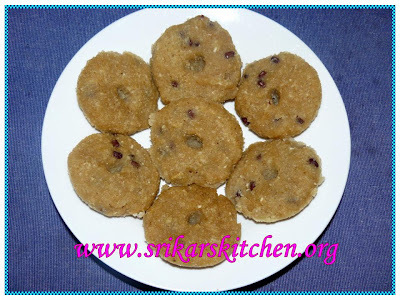 ஒருகாலும் என் கணவர் என்னை விட்டு பிரியாதிருக்கவேண்டும்..
Preheat the pan, add rice fry until light golded brown. Leave it cool & grind coarsely. Heat oil in a pan, add mustard seed,urad dhal,curry leaves, ginger,g chilles & sute few mins. Add water & allow to boil. Add grated coconut,karamani & coarsely grind rice. Mix gently & allow it cool. Make a small ball, flatten it & stream in a pressure cooker. Heat water in a pan, add jaggery allow it dissolve & starin the jaggery water. Again allow it to boil, add crushed cardamom,grated coconut, coarse rice rawa, karamani & mix it well. Allow to cook & leave to few mins. Make a ball & flatten it & stream it in a pressure cooker. both adais looks perfect. never tried kaara adai so far.. will try. Nice post about Karadaiyan Nonbu! 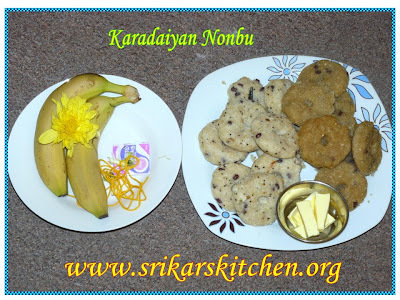 Glad to know more about karadaiyan nonbu Sri...Both adais looks to delicious..healthy steamed adais!! Never heard of this festival sri..Nice description...Nice dishes..
good info sri.. adais looks gr8. wat a fast and speed posting...kalakara. My mom makes these,just love it!! Yours looking really nice! looks nice,great post for the nonbu!! !pics look perfect!! This is a whole wonderful info i din't know at all. Both your adais sound delicious and very healthy. Thanks for the explanation about Karadaiyan Nonbu. Both adais look great, Sri! Looks like a live commentary.. Very nice description. Both adai's look perfect.. Hope u had a wonderful celebration. Just now I saw these at AnuSriram's blog! Looks so delicious!